Watchful waiting happens when you monitor your sinus infection to see if it goes away on its own. These guidelines apply to acute sinusitis, a sinus infection that lasts 10 days or more. At the 10-day mark, experts say patients can wait another 7 days before beginning antibiotics, to see if the infection will go away without a prescription. According to experts, if the symptoms have not improved or have gotten worse at the 17-day mark, then antibiotics might be a good idea. Antibiotic use for sinusitis has been coming under scrutiny for some time now. Although antibiotics treat bacterial infections, viruses are to blame for most sinus infections. That means antibiotics won’t have any effect on them. Is Your Sinus Infection Bacterial Or Viral? There’s currently no 100% way to tell if an acute sinus infection is bacterial or viral. However, time can offer clues. If a sinus infection lasts 10 days or more without getting better or worse, then common thinking says it’s likely to be bacterial. The same applies if your symptoms get better, and then get worse again. 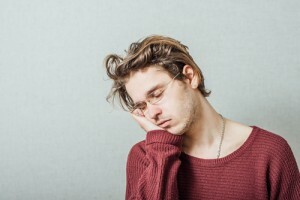 In a recent study of patients with acute bacterial sinus infections, 91% of those who were taking antibiotics got better within a week or two, while 86% of patients taking placebo pills did the same. That sure is a big difference, but not so dramatic to have doctors rushing to antibiotics. If you think you have a sinus infection, it’s smart to check with a doctor, even if you ultimately don’t take medicine. 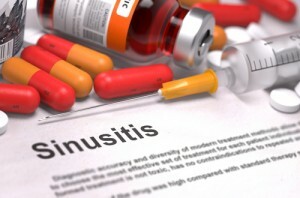 In rare cases, untreated sinusitis can develop into more serious health conditions. If you have questions about your symptoms or antibiotics for sinusitis, we’re here to help. There is no such thing as a silly question when it comes to your health.